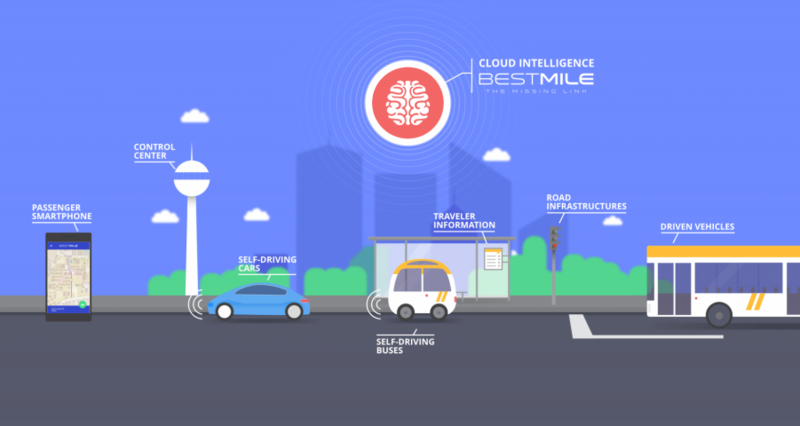 BestMile is the world’s first cloud platform for the operation and optimization of autonomous vehicle fleets. Autonomous vehicles are making the transition from dream to reality. Surprisingly, what if they were only one missing element of the transportation system to run fully automatic? BestMile may not be on the lips of everyone today, but the company is advancing their technology with rapid speed. They are taking the reality of autonomous vehicles and have developed a software platform to drive fleet operations to another level. A level that can aid autonomous vehicles to deal with the operational challenges in the real world, for example, the optimal planning, scheduling, routing and recharging of vehicles. It sounds simple, doesn’t it? BestMile’s platform is second to none on the market today, and that is why we would like to get to now the team behind the idea. Raphaël Gindrat is the 29-year-old Founder and CEO of the company. BestMile was founded in 2014 following Raphaël’s graduation from the Swiss Federal Institute of Technology in Lausanne. His Master’s degree in Civil Engineering which encompasses his specialization in the field of transportation has enabled him to understand the interconnectedness of urban mobility. Anne Mellano co-founded BestMile, with the 26-year-old also having a Master’s in Civil Engineering with specialization in the field of transportation just like Raphaël, creating a team that shares the vision and can execute on it. To further compliment the capabilities of the two, Leemor Chandally leverages his commercial management experience for BestMile. The 34-year-old American has a Master’s degree in Urban Regional Planning from the Tecnion – Israel Institute of Technology as well as a Bachelor’s degree from McGill University. She draws from her experience in urban revitalization and urban mobility in many projects around the world. By the end of 2016, BestMile grew into a team of 30 people based in Switzerland, USA, and the UK. What is the product all about and what is unique? BestMile offers a revolutionary product in every sense of the word. It is a leader in this type of technology because it is the first platform that incorporates the intelligent operation and optimization of autonomous vehicle fleets. To further enhance the individuality that this platform offers, it will work seamlessly with any car regardless of the brand or type which is ideal for every transport company across the world. The platform is driven by pioneering algorithms that enable the software to deliver missions to the vehicles that have been fully optimized. It effortlessly handles planning, routing, dispatching and the management of battery charging. The software provides businesses with the potential to offer a more streamlined service and a smarter way of thinking and working. 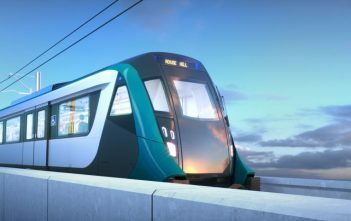 The system is designed for operators and passengers, and so it comes with a front-end and back-end interface while also being compatible with mobile and web applications. As mentioned, cutting-edge algorithms form the backbone of the platform, and this means that drivers, operators and the vehicles receive relevant information on a real-time basis. For businesses, this enables them to increase and improve their efficiency to a level that has not been possible before. Customers will also have the ability to streamline the number of vehicles on the road while offering the same quality of service and this can save a considerable amount of money ranging from the cost of the workforce to maintaining vehicles. In this day and age, where mobility is in search of sustainable ways to work the urban area, BestMile offers a very promising solution. The platform is adaptable and versatile because clients can choose a turnkey solution or a completely modular approach. For those businesses that already have a mobile app or a traveler information system that they already utilize, BestMile will enable them to connect their infrastructure and fleet directly. Many businesses may already have plans to purchase autonomous vehicles but that is not a problem for this platform because it is compatible with all autonomous vehicles and that is one of the unique selling propositions of BestMile. Drivers from existing services can benefit from real-time instructions through a dedicated app all of which is designed to make life not only simpler but more efficient. Of course, all technology evolves, and that is why BestMile has cutting edge cloud and web technologies. The company has considered time implications and have designed a system that is light, simple to use but also compatible with other forms of hardware. Updates are carried out over-the-air which removes any need to hard-wire the system to receive updates. Is BestMile financed and who are the investors? This kind of technology requires significant funding, and BestMile is gaining momentum. Risk capital is needed to develop the software and hardware as well as complete testing and homologation of the system. 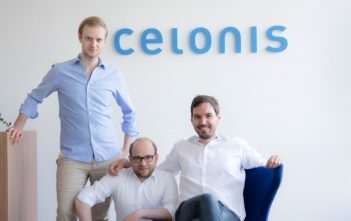 A recent round of funding has just closed totaling in $3.5 million, which was led by a super-angel located in the Zurich region along with input from Perot Jain, Forticap SA as well as private investors based out of Germany, Switzerland and Silicon Valley. It is evident that BestMile is on a stable path to building up a project portfolio and shipping their products successfully. For instance, SMARTSHUTTLE SION, OLLI INTRO WASHINGTON, and CITYMOBIL2 LAUSANNE have been completed lately. These are all projects where BestMile’s technology has been deployed and runs successfully with the SMARTSHUTTLE SION being introduced for testing in June 2016 which is due to end in October 2017. BestMile’s platform has been used together with several vehicle manufacturers, for example, Navya, EasyMile & Local Motors. The OLLI INTRO WASHINGTON as well as the CITYMOBIL2 LAUSANNE both run on the same concept, but all prove just how successful the technology and platform can become on a wider scale. What is next for BestMile? Obviously, BestMile is a company in the very early stage, which is growing and evolving with speed to bring their technology to market with a first mover advantage. To scale operations quickly and secure a stronger market position, a new round of funding is essential. Expansion plans announce that BestMile is going to employ an additional 35 employees during Q2 2017. The possible diversification into the market of human-driven EV vehicles is under investigation. Through improving simulation tools and AI software, BestMile will soon have the ability to manage larger fleets of autonomous vehicles.Finally, the system and service will be fine turned, so that external data will become fully integrated into a livestream, providing traffic updates, weather updates, and other relevant information while they have plans to create a deep technological integration with a large partner. BestMile is apparently making strides towards positioning themselves in a market that is yet to become mainstream. The technology and systems that the company has developed prove a tremendous potential for the future of autonomous vehicles and urban mobility.